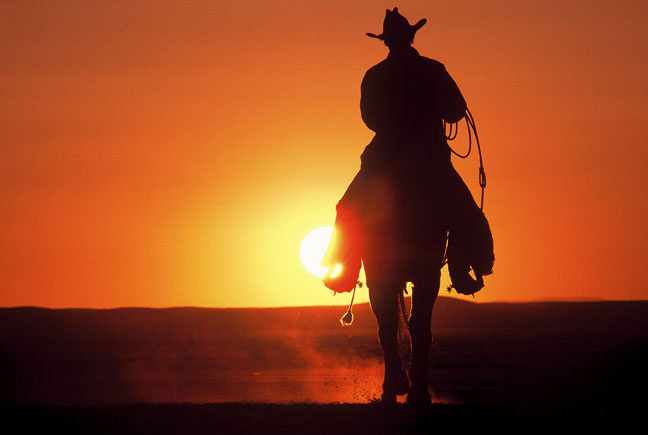 It’s an iconic scene: A horse & rider, silhouetted by the setting sun, ride past an aged tree and off towards the horizon and a glorious sunset. The clean lines of the earth meeting the sky, the simple reds, oranges, yellows, and browns of approaching twilight, and the lone rider in a wide plain offset by the lone tree combine to create a picture of beauty, serenity, and completeness. For any cowboy, horse rider, or Western enthusiast, an artistic rendering of this scene will provide a fitting and meaningful memorial. 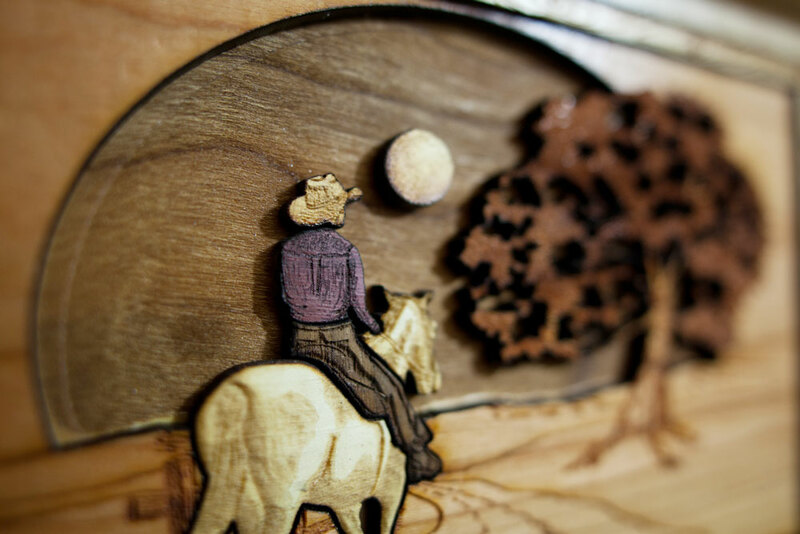 That’s why we offer the Heartland Horse Cremation Urn, a stunningly crafted wood art cremation urn featuring a horse & rider heading down the trail towards the sunset on their final journey home. 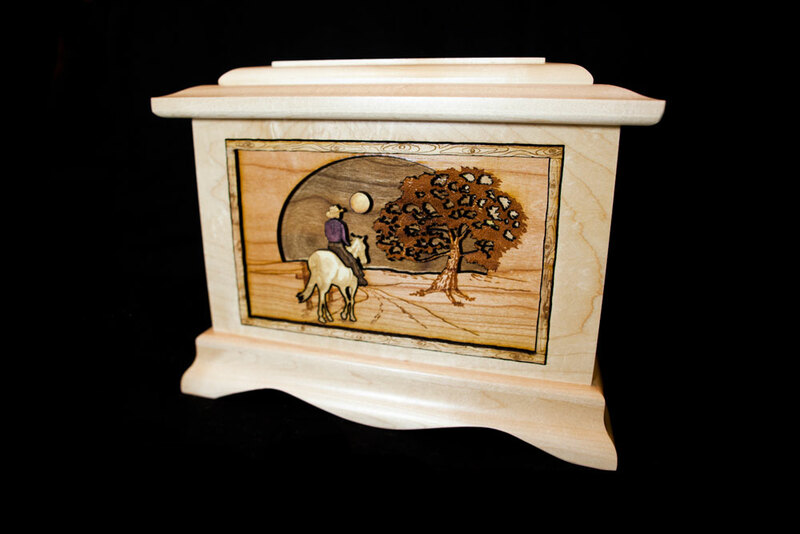 The wood art scene is carefully crafted in the USA using a variety of hardwoods, which are individually laser engraved to provide detail and then artistically inset into the front panel of an elegant wood urn. 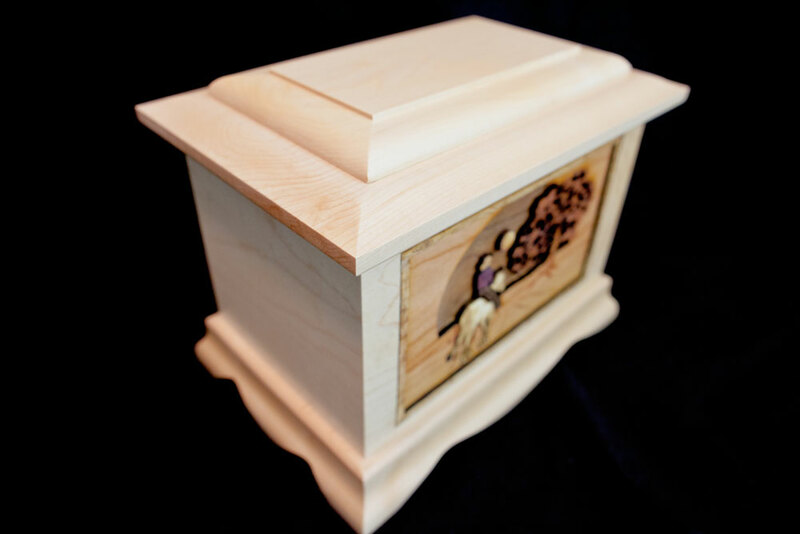 The urn itself is available in white Maple wood (as shown here), and also in dark Walnut and a gorgeous honey-yellow Oak. Whichever type of premium wood you choose for the box, the scene itself will remain the same. The border outline surrounding the pice, carved to look like an old-fashioned stick picture frame, is made from Oak. 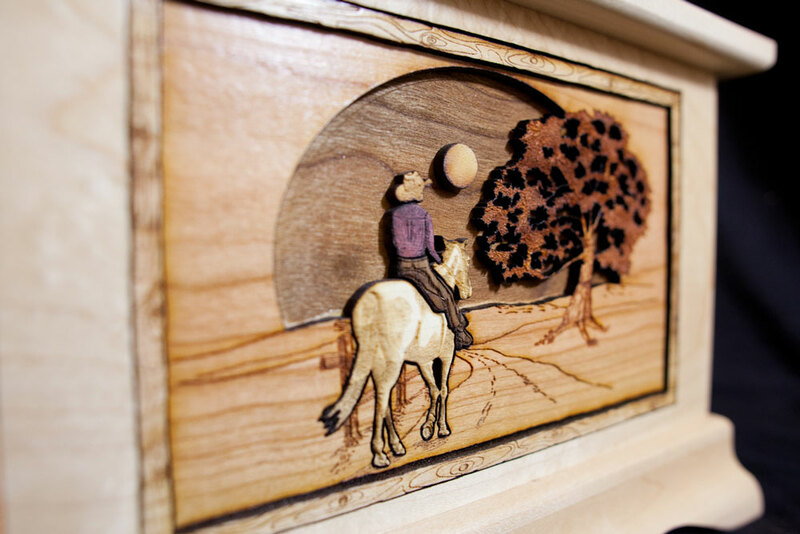 Just inside the border the main background of the horse and rider scene uses natural Cherry wood, with darker Walnut in the deepest recess to provide contrast against the rider and the setting sun. 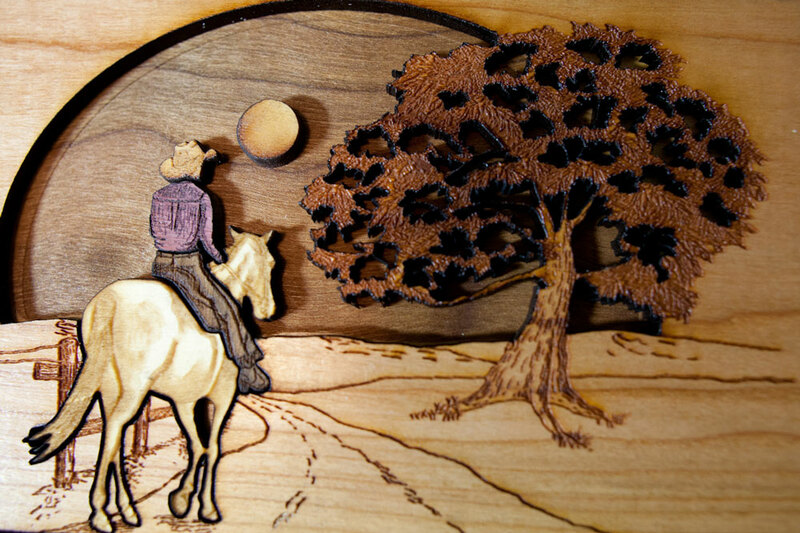 White Maple wood is used for the horse, Walnut for the cowboy’s pants, and Purple Heart for the shirt. Cherry again is used for the wide brimmed cowboy hat, and robustly yellow Oak for the sun. The interior of the urn is accessed by removing a bottom panel, which simply attaches using four standard screws. This is a full-sized adult cremation urn, with its capacity of 230 cubic inches holding slightly above the industry standard. Dimensions are 10-1/2″ long x 7-1/2″ deep x 8-1/2″ high, and we can personalize this memorial for you with laser engraved inscription on the top or back of the urn. 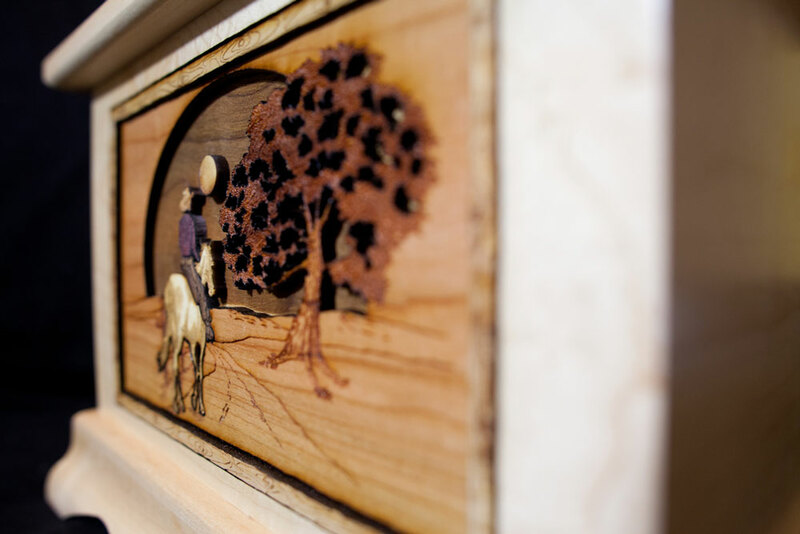 Here are some photos which will give you a wonderful picture of the skill and quality of the woodwork on our Heartland Horse Cremation Urn. Here’s a 360-degree photo journey around the urn. As you can see, the maple wood box is crafted with a sense of elegance and proportion which will be clearly visible from any angle. 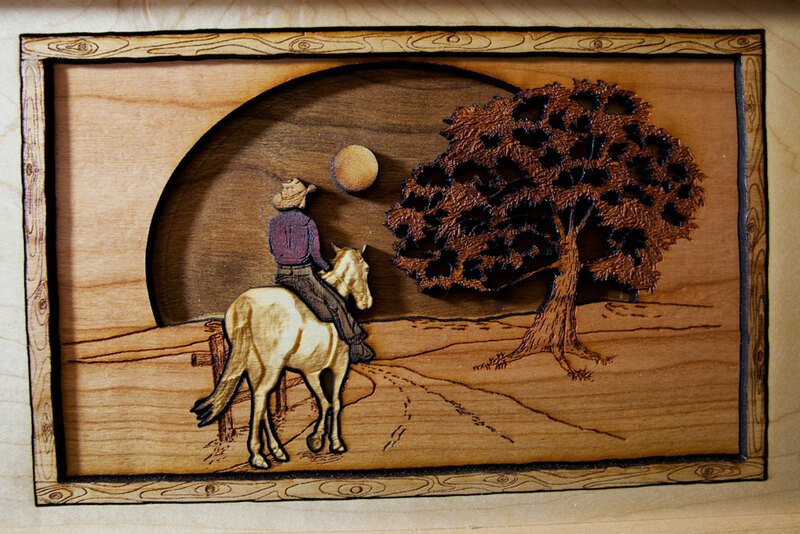 For the Heartland Horse Cremation Urn, the light maple wood is an excellent choice to highlight the brown walnut and purple heart wood which make up the rider on his (or her) final journey home.